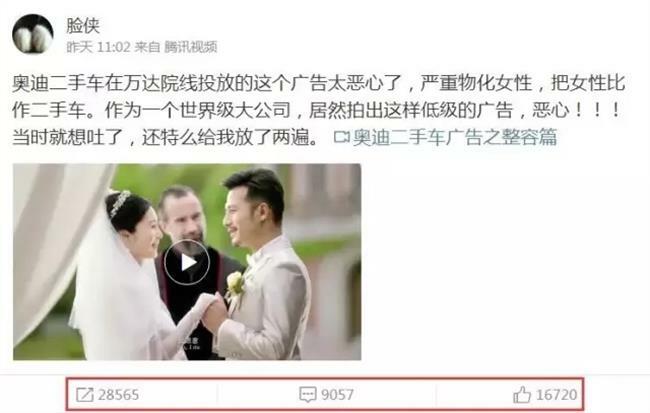 A commercial for luxury car brand Audi has angered netizensbecause of its negative and "vulgar" implications about women. 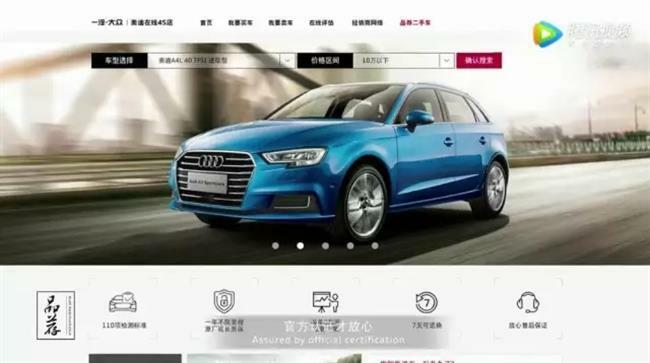 A new commercial about Audi used cars has triggered Internet fury, with netizens calling it misogynistic and vulgar. The 30-second commercial takes place at a wedding, right when the bride and groom are about the exchange vows. The bride’s mother-in-law suddenly storms the stage and halts the wedding, before closely inspecting the bride’s face and then pulling at her nose, ears and mouth. She soon gestures that everything is “A-OK”, implying that the bride is free from plastic surgery and in good shape, much to the relief of the wedding party, as well as the bride and groom. But all is not well as the mother-in-law casts her eyes down to the bride’s breasts, forcing her to try and hide them with her hands. 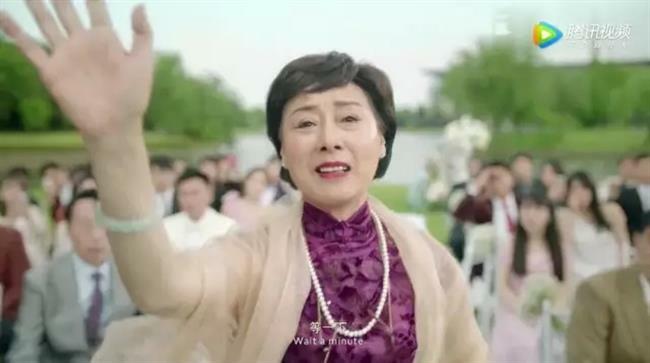 A netizen expressed her anger towards the ad on Weibo on July 17, accusing the company of objectifying women and comparing them to used cars. She said she couldn’t believe a world-class enterprise such as Audi could produce such a vulgar ad. Her post was shared widely online. 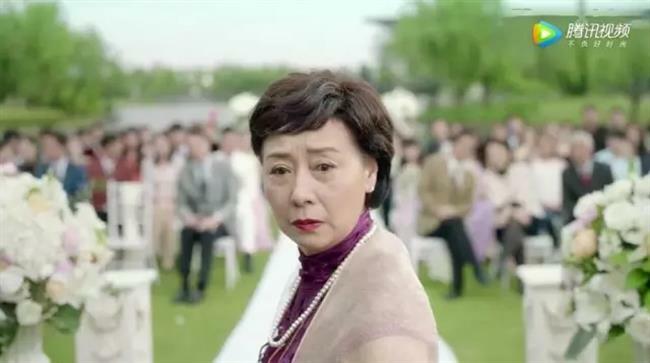 The advertisement, issued on May 22, can also be seen on Audi’s WeChat and Weibo accounts, as well as some other popular video sharing websites like Miaopai and Tencent. No response has yet been made from Audi.